I think I am on a hair protection mission for you guys 😛 First, came up with hair sprays and now I have hair serums in the series today. Let’s have a look at some of the best in market. Smoothes dry, frizzy, unruly hair. Natural moisture locking and conditioning effect of walnut oil helps in enhancing hair smoothness and your hair stays shiny, nourished and manageable all day. Adds shine to the hair. Makes dull and rough hair shiny. Doesnâ€™t make the hair oily, works well on damp as well as dry hair, has a nice mild fragrance, controls the frizz, softens hair, detangles hair. Price: Rs. 475 for 75 ml. 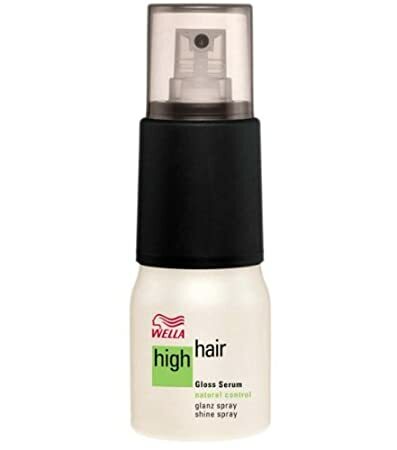 A glossing serum that adds great gloss and shine to the hair. It also helps to moisturise the hair. Delivers almost instantaneous results, hair feels and looks detangled, smooth, malleable and touchable almost immediately even in its semi-wet condition. It is highly recommended for those with dry or brittle or frizzy hair. It hydrates and further straightens out straight hair. It actually works as a styling/setting/holding agent. Smells amazing, leaves hair smoother and soft. Also, imparts a bit of shine to the hair. Prevents appearance of split ends. Makes hair really feel like silk. Gives immediate, impressive results. Controls frizz. Works all day and prevents frizz even in humid climate. Works even if you just air dry your hair. Price: Rs. 3500 for 100 ml. Intensive Strengthening Tonic. Can reduce hair loss by 37%. The life cycle of the hair is prolonged. Helps reduce hair fall and helps in regrowth of hair. Does not have any strong scent. Good as a heat protectant, has a good de-tangling effect. Adds a lot of shine. The smell is great. This product can be used as a regular oil for oil massage, can be used before blow drying as a heat protectant, to add shine and control the frizz after you wash your hair. Hair stays super conditioned and good looking for at least 2 days after using it post-wash conditioner. Do you use hair serums? Which one is your pick? I use the Kerastase Elixir Ultime .. Just 2 pumps on my hair post-wash … I have stopped using normal hair conditioner as that lead to major hairfall … and absolute love this hair serum! !